Find out how to rescue at least one hour a day, focus on what really matters, access your best thinking, and bring in more revenue by working substantially less. 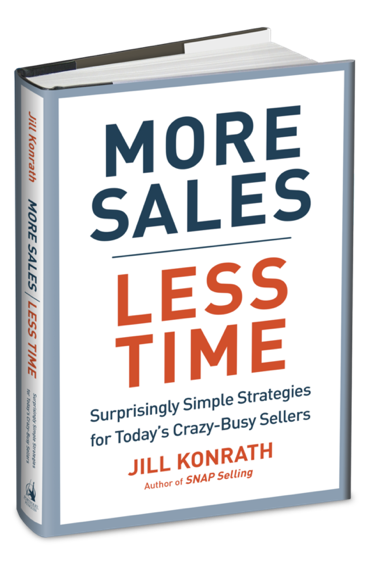 Jill Konrath’s career is defined by her relentless search for fresh sales strategies that actually work in today’s business environment. Jill is a frequent speaker at sales conferences and kick-off meetings. Sharing her fresh sales strategies, she helps salespeople to speed up new customer acquisition and win bigger contracts.